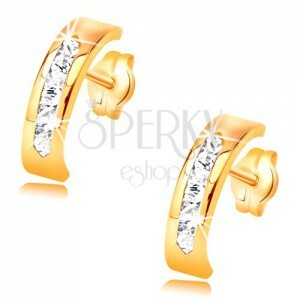 585 gold earrings with stud fastening, shiny smooth half-circle inlaid with glistening clear zircons. By buying this product you can collect up to 60 points as a voucher of £10,20. Your reward points. 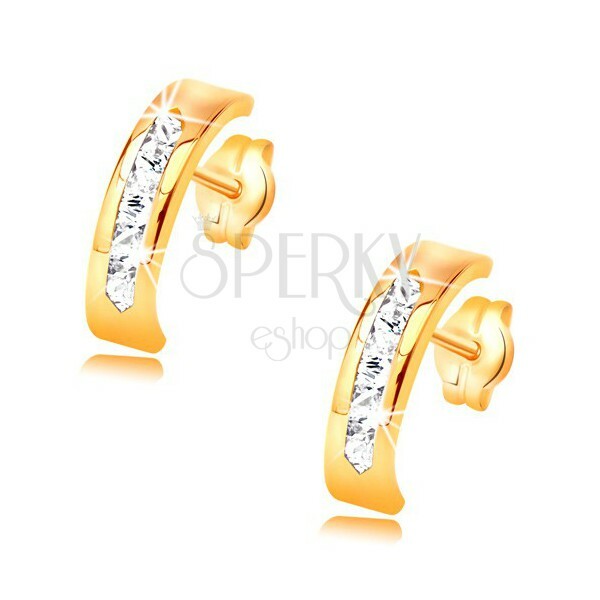 The earrings made of yellow 14K gold are composed of a wider arc, in the middle decorated with embedded glistening clear zircons. The surface is smooth and shiny. Removable closure retained by friction.